Spending an arm and a leg on a photographer is one thing, but spending even more on having that photographer print your photos onto canvas is an entirely different debacle (and price tag). Instead of adding onto that big bill, you can get your favorite shots made into beautiful pieces of art for your home by getting them printed online! Thankfully, there are several reputable sites that offer services that turn your memories into new additions to the walls and tables of your home. 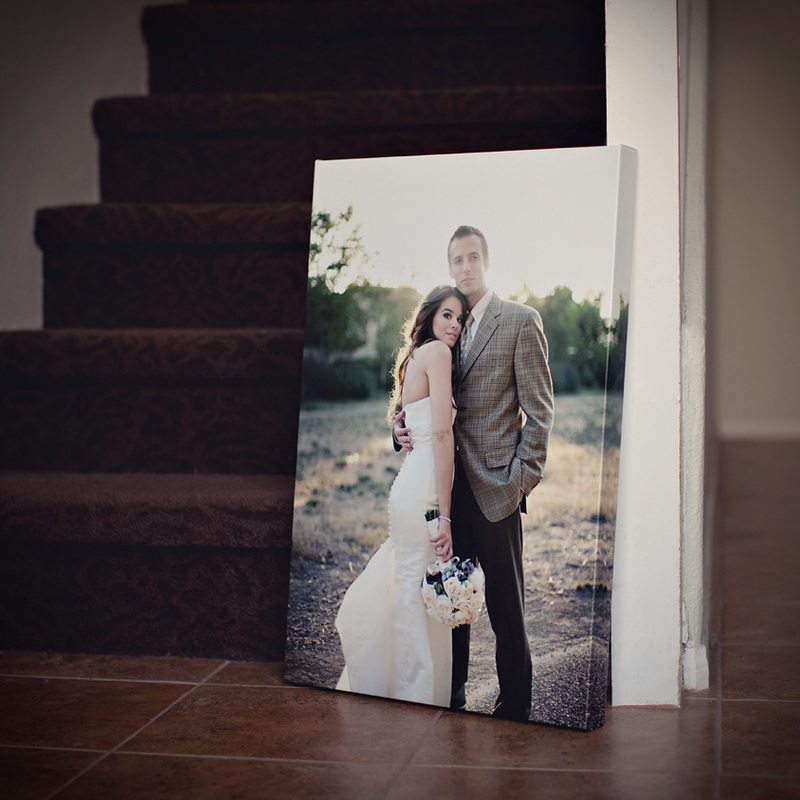 And besides canvas, you can also get your wedding photos printed onto metal or even made into a poster. Shutterfly is known as a spot that you can share and store photos – as well as turn them into almost anything you could think of, with one of those “things” being canvas portraits. They frequently run specials and save, offering coupon codes for all sorts of stuff including up to 50% off your creations. Canvas on Demand does exactly what its name suggests. And although they may not have the brand appeal that others on our list have, they’ve been in the business for over a decade creating quality pieces for families to enjoy. They have different frames styles for their canvases and will even “soften” the look for a more artistic, oil painted feel. Even your friendly, neighborhood Walgreens can make a canvas portrait happen. Just upload the photo of your choice to your account and then select what you’d like to go with. Personally, I’ve had both canvas and metal prints made at this spot and have been pleasantly surprised by the results. Canvas Champ has a lot of great options as well as great pricing. They frequently run specials, such as buy one canvas print and get a second one completely free. And their plethora of testimonials will have you feeling secure in your decision. Finally, Vistaprint has some options to sift through as well. Although we know them mostly for their business cards, this online spot has so many wonderful services to invest in, including their canvas printing. Their pieces also come with built-in hangers making it easier to display on walls.